Social practice is a theory within psychology that seeks to determine the link between practice and context within social situations. Emphasized as a commitment to change, social practice occurs in two forms: activity and inquiry. 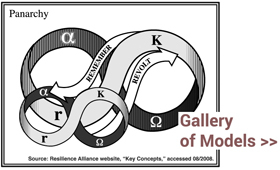 Most often applied within the context of human development, social practice involves knowledge production and the theorization and analysis of both institutional and intervention practices. The origins of the practice perspective can be traced to Wittgenstein (1951) or Heidegger (1962), but the past few decades have seen a proliferation of theories of practice — to the extent that we can speak about a “practice turn” in the social sciences generally (Reckwitz, 2002; Rouse, 2007; Schatzki et al.,2001). This turn includes seminal and diverse contributions by philosophers (Foucault, 1980), sociologists (de Certeau, 1984; Giddens, 1984), anthropologists (Bourdieu, 1990), ethnomethodologists (Garfinkel, 1967), activity theorists (Engeström, Miettinen, & Punamäki, 1999; Vygotsky, 1978), discourse scholars (Fairclough, 2003), and many more. In short, “practice” implies more than simply practical; it links strategy research to deep traditions of theoretical and empirical work in other disciplines. We highlight here how this practice turn defines itself in opposition to methodological individualism and emphasizes instead the embedded nature of human agency, the importance of macro social institutions, emergence as well as design, the role of materiality, and the critical examination of the otherwise taken for granted.